airtime vendors, check the prices at www.OutfitterSatellite.com Iridium units and Inmarsat isatphone have different strengths and weaknesses. Iridium’s satellites are in low-earth orbit (LEO’s) and are relatively close, meaning strong signals and an easier connection from you to the satellite. Being in low orbit they move quickly relative to the earth and sometimes data calls are dropped. Inmarsat uses geostationary satellites, which will always be in the same location in the sky, but are much farther away which means weaker signals and slower speeds but fewer dropped data calls. Globalstar uses low satellites but only works when a satellite is in simultaneous view of both the vessel and a shore station. This limits Globalstar’s coverage to within a few hundred miles of shore, in spite of the name. In any case, a proper external marine antenna is important, located where it has a clear view of as much sky as possible. because it requires the additional use of an iPhone connected via wireless. The Iridium 9575 Extreme is handier in an emergency. The Extreme can be used by itself to make phone calls and is water resistant. Both the Iridium Extreme and the GO! contain GPS and GEOS emergency button. So if your Extreme or GO! is registered with GEOS (free), you can press the red button, and folks on your registration list, as well as SAR authorities, will be forwarded your location and your request for help. Most folks go with Iridium over Inmarsat and Globalstar, and most folks select the Iridium GO! unless they want a device to also be handy to make calls in an emergency, in which case they buy an Iridium Extreme and pay higher data rates. Data communications costs about $60 per megabyte over Iridium, unless you pay $125 per month for the unlimited data plan on the Iridium GO!. The Inmarsat Fleet Broadband 150 is a 13 inch dome that provides 150kbps data at $25 per megabyte, with nearly worldwide coverage. Inmarsat also has a “Fleet One” version of this system but it isn’t useful due to its limited coastal coverage. megabyte with coverage of any place that a sensible cruiser is likely to go. This entry was posted in Satellite Phones on February 28, 2016 by Stan Honey. While the Iridium GO! provides somewhat cheaper cost for transferring data, Iridium handsets can also be used to transfer data and have the advantage that they are simpler to use for voice calls in an emergency, not requiring an additional iPhone via Bluetooth. The Iridium Extreme phone is water resistant, incorporates a GPS, and has an “SOS” button that allow it to be used to summon help, as does the GO!. Some cruisers buy a “dock” like the one in the photo below from Beam. When in the dock the Extreme phone is connected to the external antenna, power, and to the computer/USB, and is kept charged. It can be quickly removed for manual use. Note that the Iridium GO! and Iridium handsets transfer data at the same speed, but the Iridium GO! has cheaper data rates and connects more quickly. Iridium offers a “PPP Data Service” for their handsets, which is simpler and quicker than using the Iridium “Direct Internet Service” or a “Dialup” connection. This is a direct-to-internet connection through the Iridium internet gateway. The advantages are simplicity (no fancy compression or proxy-servers), no other internet service-provider required, and faster setup. This service is perfect for checking mail with SailMail’s direct internet access (aka “Telnet”). This document describes how to set up an Iridium PPP connection. Then run (open) that file with the handset disconnected from the computer. That’s it, follow the instructions below. If you have already done our work-around, then this still works– no need to un-do that. If you installed ver 3.5.041 of our Airmail software and used the driver-checker then again this works fine, but you can re-open Airmail’s “Check Iridium Driver” (under Tools menu) and click “Reset Driver-Test Mode”. Also, if you disabled the UEFI “Secure Boot Mode” then you can re-enable that if you want: From the Windows button click Power, Shift-Restart, Troubleshoot, Advanced Options, UEFI Firmware settings, Restart, “Secure Boot Control”. Whew! If you already did the setup below then no need to redo it, but do check it. 1. Close all applications (at least any that use internet). 2. Open Windows Control Panel (Windows search-box is your friend here). 3. Set “View by” to large or small icons, then double-click on “Phone and Modem Options”. 5. Check “Don’t detect my modem; I will select it from a list” and then click “Next”. 6. Select “Standard Modem Types”, then “Standard 19200 bps Modem” and then click “Next”. 7. Click the “Selected ports” button and highlight the COM Port that you will use with the Iridium phone (e.g., COM3). Click Next, then Finish. 8. Now go back to Control Panel, open “Device Manager”, find “Modems” and expand that, and find the “Standard 19200 bps Modem” that you just created. Double-click that to open “Properties”, and select the “Advanced” tab. 10. Double-check that, then click OK, then close Device manager. (Note: You can also access the modem properties box via “Phone and Modems”, but the “Extra initialization commands” box is disabled. Go through Device Manager instead). 1. Open Windows Control Panel and select “Network and Sharing Center”. 2. Click “Set up a new connection or network” and then click Next. 3. Select “Connect to the Internet” and click Next. 4. If you see “You are already connected to the internet”, click on “Set up a new connection anyway”. 5. If you see “No, Create a new connection” select that, unless you are checking settings of an existing connection. 6. Click on “Dial-up”, and (if prompted) select “Standard 19200 bps Modem”. Check the “remember password” box. 8. Then click “Connect”, Windows will try to connect– click “Skip” to continue. 9. Click Close and return to Network Center. 10. Click “Change Adapter Settings” on the left, find “IridiumPPP” and right-click and select “Properties”. (Or, open the connection and then click the “Properties” button). 12. Then click “Configure”, and check all three hardware features, then click OK.
13. On the “Networking” tab, un-check all items except “Internet Protocol Version 4 (TCP/IPv4)”. (If any items won’t un-check, that is OK). 14. Click OK to close. To connect manually, click on the Networks icon in the system-tray (lower-right corner of the screen), select “IridiumPPP” and select “Connect”. Repeat to disconnect. You can also get to the connections properties from this window. Don’t forget the “Extra initialization string” in the first section, this is critical. Under Network Connections (second step), only “TCP/IP” should be checked. You need the COM-port number associated with the phone. 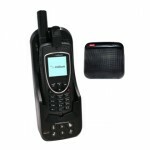 (The 9555 phone installs as a COM port, use the driver CD supplied with the phone). You must be logged into Windows with Administrator privileges. Once all that is done, open Airmail’s “Telnet” window (click the “Internet” button on the toolbar or open the Modules menu then Telnet-client). Check the “dial first” box in the Telnet window, and select the “Iridium PPP” connection, and make sure that the “hang up” box is also checked. In recent versions of Airmail the Telnet-window is already set up, just select “Server1”. Also be sure to select “Set up dedicated route”, this will block other programs from trying to “hijack” your Iridium connection. To check mail, click Airmail’s “Internet” button (or go to Modules menu, Telnet-client), make sure “Server1” is selected and click the green “connect” button. Airmail will dial the phone, contact the server, and exchange mail. Watch the connection and make sure it disconnects when finished. (in the rare case that the primary server is unavailable, there are also two backup servers available). Remember that the Iridium antenna must be outdoors, with a clear view of the sky. The best antenna is a proper fixed-mount Iridium marine antenna, not cheap but strongly recommended if you are serious about it working reliably. The next-best is the small “hockey-puck” car-style antenna, IF it is stuck to a piece of metal (e.g. a car, or a metal pie-tin 8″/20cm or larger). It is meant to work on a car roof, and needs the metal ground-plane. The phone’s antenna also works (as a third choice), IF it is above-decks with a clear view and oriented vertically. Also remember that Iridium connections (voice or data) are relayed from satellite-to-satellite to reach an earth station. Your phone shows the signal strength to the first satellite only. If the next satellite is too far, or congested, then the connection will stall or be dropped. Unlike radio, this uncertainty is unpredictable and can be frustrating. If the phone doesn’t connect at all, check the signal and then check the modem and connection settings above. If the phone connects but you cannot connect to SailMail then check the Telnet settings below. You must be using port-50. If you do not have an Internet/Telnet window at all then go to Airmail’s Tools menu, Options window, Modules tab, and check the box to the left of “Telnet Client”. Click OK.
To check your Telnet settings first open the Telnet window (click the “Internet” button or go to Airmail’s Modules menu and select Internet or Telnet Client). Make sure “SailMail” is selected if you have also configured Airmail for ham use. Select “Server1” and click “Settings”. (From Airmail 3.5 these settings are part of the system settings, earlier versions may need to be entered manually). Password: (your SailMail internet password, Case-Sensitive!). Click OK to save settings. ** Note: For quickest access via Iridium, use “Server1” (WRD719), make sure the port is “50”, and enter the numeric IP-address “72.32.198.206” instead of “pop3.sailmail.com”– this saves a few seconds. But remember that this address may change if we need to shift servers– so if you cannot connect then enter the “pop3.sailmail.com” and note the address which is shown when you connect. (Don’t include the quotes shown here). The backup servers are 64.119.5.153 (Backup1, WHV382) and 104.59.74.73 (Backup2, WQAB964), all using port 50. If you want to initiate a PPP Data call manually, open the Dial-Up Networking window and open the “Iridium PPP” dial-up connection and click “dial”. And don’t forget to disconnect when you are finished! This entry was posted in Iridium Handsets and tagged iridium, satphone on February 27, 2016 by Stan Honey. The Inmarsat IsatPhone Pro offers a low-seed internet access which works well for connecting to Sailmail. There is one important caveat: The Inmarsat gateway allows full internet access, which means that other programs (including a variety of auto-update software) can hijack the connection and slow it dramatically, or even bring it to a virtual halt. It is important to disable other software, Airmail 3.5 includes a “Dedicated Route” option which solves this in a simple way. In order to make a data connection, the IsatPhone Pro firmware must be version 4.0.0 or later (check the phone’s Settings menu, “About”). The updater software is found on the CD that came with the phone, and firmware files can be downloaded from Inmarsat (www.isatphonelive.com/support). Also, you must have a data-enabled SIM card, check with your Inmarsat service provider. This is critical. You will also need the USB Device Drivers for the iSatPhone Pro, to connect it to the computer, those are also included on the IsatPhone CD, or can be downloaded from the “IsatPhoneLive” website above. Run the USB-driver installation program before connecting the phone. Once you’ve got the USB drivers installed and the phone connected to the computer with no device-driver error messages from Windows, then you need to tweak the modem settings, and create a Windows “dial-up connection” to make use of the data connection. 1. Open Windows Control Panel, select “small icon” view, and open “Device Manager”. 2. In Device Manager find “Modems”, expand that, and find the “iSatPhone Pro 1.0 Modem”. 3. Double-click that to open “Properties”, select the “Modem” tab, and set the “Maximum Port Speed” to 2400. 4. Now select the “Advanced” tab, and enter “&FE0&D2” in the “Extra Initialization” box (without the quotes, and “FE” is followed by the number zero). 5. Click OK, and close the Device Manager window. 1. Open the “Network and Sharing Center” window from Windows Control Panel. 5. Then select “No, Create a new connection” (unless you are checking settings of an existing connection). 6. Click on “Dial-up”, and (if prompted) select the “IsatPhone Pro 1.0 Modem”. 10. Click Change Adaptor Settings” on the left, find “IsatPhone Pro” and right-click and select “Properties”. (Or, open the connection and then click the “Properties” button). 12. Then click “Configure”, set “Maximum speed” to 2400, and select all three hardware features, then click OK.
13. On the “Networking” tab, un-check all items except “Internet Protocol Version 4 (TCP/IPv4)”. (If any items won’t un-check, that is OK). Click OK to close. 1. Open “Network Connections” window (Start-button, Settings, Network Connections). 2. Click “Create a new connection”, click Next. 4. Select “Set up my connection manually” and click Next. 5. Select “Connect using a dial-up modem” and click Next. 6. If a “Select a Device” window appears, check the box next to “IsatPhone Pro 1.0 Modem”, and uncheck all other devices. Click Next. 7. Enter a connection name (e.g., “IsatPhone Pro”) and click Next. 8. In the Phone Number box, enter 28 and click Next. 9. Enter INMARSAT (upper case) for both username and password. 10. Click Next, then Finish. 11. Click Properties for the new dialup connection, make sure “use dialing rules” is NOT checked. 12. Then click “Configure”, set “Maximum modem speed” to 2400, and check all three hardware features, then click OK.
13. On the “Networking” tab, make sure “Internet Protocol (TCP/IP)” is checked. Uncheck all other components (if they won’t un-check, that is OK). Click OK and close the connection box. To connect manually, click on the Networks icon in the system-tray (lower-right corner of the screen), select “IsatPhone Pro” and select “Connect”. Repeat to disconnect. You can also get to the connections properties from this window. * Don’t forget the “Extra initialization string” in the Part One, this is critical. * Be sure that maximum speed is set to 2400, in two places. * Under Network Connections (second step), only “TCP/IP (ver-4)” should be checked (others are OK if they can’t be un-checked). * You must be logged into Windows with Administrator privileges. Once all that is done, open Airmail’s “telnet” window (click the “Internet” button on the toolbar or open the Modules menu then Telnet-client). Check the “dial first” box in the Telnet window, and select the “IsatPhone Pro” connection, and check the “Dedicated Route” option. At the top “Server1” should be selected (WRD719 for previous Airmail versions). To check mail, click Airmail’s “Internet” button (or go to Modules menu, Telnet-client), make sure “Server1” is selected, make sure the phone has a good signal (should be 4-5 bars) and click the green “connect” button. Airmail will dial the phone, contact the server, and exchange mail. Watch the connection and make sure it disconnects when finished. It takes about a minute to get connected to the internet (airtime charges start after about 20 seconds), 20 seconds to connect to Sailmail and check mail, and 15-20 seconds to disconnect. Remember that the IsatPhone antenna must be outdoors, with a clear view towards the satellite. The best antenna is a proper fixed-mount IsatPhone marine antenna, not cheap but strongly recommended if you are serious about it working reliably. The phone’s antenna also works, IF it is above-decks with a clear view towards the satellite– orient the antenna generally towards the satellite. To check your telnet settings first open the Telnet window (click the “Internet” button or go to Airmail’s Modules menu and select Internet or Telnet Client). Make sure “Sailmail” is selected if you have also configured Airmail for ham use. Select “WRD719” and click “Settings”, or if not found then click “New”. ** Note: For quickest access select “Server1” or “WRD719” as the server, make sure the port is “50”, and enter the numeric IP-address “72.32.198.206” instead of “pop3.sailmail.com”– this saves a few seconds. But remember that this address may change if we need to shift servers– so if you cannot connect then enter the “pop3.sailmail.com” (without the quotes) and note the address which is shown when you connect. The backup server is WHV382, remote-host: r7fh.no-ip.com (64.119.5.153) and port: 50. If you want to initiate a Data connection manually, open the Dial-Up Networking window and open the “IsatPhone Pro” dial-up connection and click “dial”. And don’t forget to disconnect when you are finished! This entry was posted in Inmarsat and tagged inmarsat, isatphone, satphone on February 27, 2016 by Stan Honey. If you have an internet connection into your computer (e.g. a Wi-fi or cell-phone connection in port, or an Iridium or Inmarsat sat-phone offshore) then you can use AirMail to directly retrieve your SailMail messages over the internet instead of connecting via HF-Radio. This is very handy when you are in a marina where internet access is available, and is handy offshore when propagation is poor. If you are using a version of AirMail that is version 3.3.069 or later, it is easy. Just press the “internet” button on the message index window, which looks like a lightning bolt. In the window that then opens up, press the “connect” button, which looks like a green ball. If your internet access is working you will retrieve and send all of your SailMail messages just as if you had a (very fast) connection via radio. To test your internet access to make sure it is working you can open www.google.com in your browser. If you can get to Google you should be able to send and retrieve your SailMail messages. (If not, see “Troubleshooting” below). Recent Airmail versions have the telnet window pre-configured to connect to Sailmail. Simply open Modules menu, Telnet-client. Select station WRD719 (the Palo Alto station), make sure you have an internet connection, and click the green “connect” button. Airmail will connect to the Sailmail server via internet and send/receive messages, the same as a radio connection except much faster. The same compression is also used, making this a much more efficient connection than a POP3/SMTP email connection- this is especially useful for cell-phones and sat-phones. There is no reason to use a compression service when connecting via Telnet. To set up Airmail’s telnet window, first select the Tools menu, Options window, Modules tab, and make sure that the box to the left of “Telnet Client” is checked. Click OK.
Then go to the “Modules” menu and select “Telnet Client”, this opens the Telnet window. Check the list of stations, both “WRD719” and “WHV382” should be listed. Password: (your Sailmail internet “POP3” password, Case-Sensitive!). Check the box “Include in check-all” (unless this is checked for WHV382, below). Check the box “Include in check-all” (unless this was checked for WRD719, above). To check mail, go to Airmail’s Modules/Telnet menu, make sure that WRD719 or WHV382 is selected in the callsign box and click the green “connect” button (or the “Check All” button). ** Note: For quicker access via Iridium, use WRD719, make sure the port is “50”, and enter the numeric IP-address “72.32.198.206” instead of “pop3.sailmail.com”– this saves a few seconds. Note that this address may change if we need to shift servers– so if it won’t connect then enter the “pop3.sailmail.com” and note the address which is shown when you connect. (Don’t include the quotes shown here). If you get an error instead of connecting, then double-check your settings and try port 50 instead of 50001, or vice-versa. Also try opening a web page in a browser. If you cannot open a web page, then find out why your internet connection is not working. Open Airmail’s Tools/Options window, click on Modules tab, make sure that “Mail (pop/smtp) Client” is checked (enabled). Click OK to save changes and close. Tick the box “Include in check-all”. Check the box “Include in check-all”. Now click OK to save and close, and then click “Check all” on the mail-client window to check your mail. This uses the standard POP3 connection (port 110), that will certainly not be blocked. For sending mail, many providers want you to use their own SMTP server. That’s fine, ask them what the server-address and login info is. was selected, always make sure that the phone disconnects). is currently supporting both port 50 and 50001 on both servers- use port-50 for Iridium connections, or if there is any problem connecting to port 5001- it may be a blocked port for the local connection. settings and server addresses, or contact k4cjx@comcast.net. This entry was posted in Accessing SailMail via Internet, Satellite Phones and tagged Using Sailmail via Internet on February 27, 2016 by sailma5. Globalstar offers a internet PPP data connection for their GSP-1600 and later phones. You will need the data cable for the phone, and for a 9-pin serial data cable you will need a USB/serial adapter (we recommend any of the adapters using the FTDI chipset, e.g. Sabrent CB-FTDI). 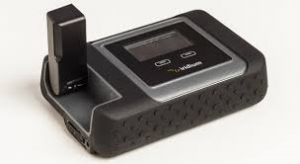 Prior to using your Globalstar phone for a PPP internet connection for the first time, you need to set up a “Standard modem driver” on your computer, and then set up a dial-up networking connection for the Globalstar PPP data service. These steps are both described in detail below for Windows 7, 8 and 10. 2. Open Windows Control Panel. 6. Select “Standard Modem Types”, then “Standard 33600 bps Modem” and then click “Next”. 7. Click the “Selected ports” button and highlight the COM Port that you will use with the Globalstar phone (e.g., COM1). Click Next, then Finish. 8. Now go back to Control Panel, open “Device Manager”, find “Modems” and expand that, and find the “Standard 33600 bps Modem” that you just created. Double-click that to open “Properties”, select the “Modem” tab and set the max port speed to 38400. 9. Click OK, then close Device manager. (Note: You can also access the modem properties box via “Phone and Modems”, but “max port speed” is disabled. Go through Device Manager instead). 6. Click on “Dial-up”, and (if prompted) select “Standard 33600 bps Modem”. 7. In the “Dial-up phone number” box enter #777. Leave user name and Password blank, and for “Connection Name” enter “Globalstar”. 9. Click “Close” and return to Network Center. 10. There should be no changes to the network properties, to check click “Change Adaptor Settings” on the left, find “Globalstar” and right-click and select “Properties”. (Or, open the connection and then click the “Properties” button). 11. On the first tab verify that “Use dialing rules” is not checked. 12. Then click “Configure”, and check that only Hardware flow control is checked, then click OK.
13. On the “Networking” tab, “File and printer sharing” and “Client for Microsoft Networks” should NOT be checked. To connect manually, click on the Networks icon in the system-tray (lower-right corner of the screen), select “Globalstar” and select “Connect”. Repeat to disconnect. You can also get to the connections properties from this window. Once all that is done, open Airmail’s “Telnet” window (click the “Internet” button on the toolbar or open the Modules menu then Telnet-client). Check the “dial first” box in the Telnet window, and select the “Globalstar” connection, and make sure that the “hang up” box is also checked. In recent versions of Airmail the Telnet-window is already set up, just select station “Server1” (or WRD719). Also be sure to check the box for “Set up dedicated route”, this will block other programs from trying to “hijack” your Globalstar connection. To check mail, click Airmail’s “Internet” button (or go to Modules menu, Telnet-client), make sure WRD719 is selected in the callsign box and click the green “connect” button. Airmail will dial the phone, contact the server, and exchange mail. Watch the connection and make sure it disconnects when finished. Remember that the Globalstar antenna must be outdoors, with a clear view of the sky. The best antenna is a proper fixed-mount marine antenna, not cheap but strongly recommended if you are serious about it working reliably. The next-best is the small “hockey-puck” car-style antenna, IF it is stuck to a piece of metal (e.g. a car, or a metal pie-tin 8″/20cm or larger). It is meant to work on a car roof, and needs the metal ground-plane. The phone’s antenna also works (as a third choice), IF it is above-decks with a clear view and oriented vertically. If the phone connects but you cannot connect to SailMail then check the Telnet settings below. You should be using port-50. To check your Telnet settings first open the Telnet window (click the “Internet” button or go to Airmail’s Modules menu and select Internet or Telnet Client). Make sure “SailMail” is selected if you have also configured Airmail for ham use. Select “Server1” or “WRD719” and click “Settings”, or if not found then click “New”. ** Note: For quickest access use the main server (“Server1” or WRD719), make sure the port is “50”, and enter the numeric IP-address “72.32.198.206”– this saves a few seconds. But remember that this address may change if we need to shift servers– so if you cannot connect then enter the server name “server1.sailmail.com” and note the address which is shown when you connect. (Don’t include the quotes shown here). The backup server is “backup1” or WHV382, remote-host is backup1.sailmail.com or 64.119.5.153 and port is 50. If you want to initiate a PPP Data call manually, open the Dial-Up Networking window and open the “Globalstar” dial-up connection and click “dial”. And don’t forget to disconnect when you are finished! This entry was posted in Globalstar on February 27, 2016 by Stan Honey. This note describes using Sailmail with Inmarsat’s FleetBroadband service. 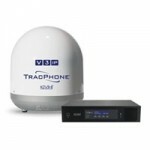 The FBB terminals offer a relatively high-seed internet connection which works well with Sailmail, and Sailmail provides important protection against unwanted content as well as a means to prevent unauthorized use of bandwidth. This is an important consideration as the Inmarsat gateway allows full internet access. This means that other programs (including a variety of auto-update software) can hijack the connection and run costs up very quickly. Sailmail’s client program includes a “Dedicated Route” option provides this protection in a simple way. First, open the FBB/BGAN web page (http://ut.bgan) and make sure that there is a “start standard” link on the “Dashboard” page. If not, see below for “Disable auto-connect”. Then open the Settings menu, then LAN and then PPPoE on the left, and select “Enabled” for PPPoE. Click “Apply”. 4. If you see “You are already connected to the internet”, then click on “Set up a new connection anyway”. 6. Select “Broadband (PPPoE)”, click Next. 7. In the next window enter “void” for username and “void” for password (without the quotes). (Note: If you have a login name and password from your airtime provider then use those). For connection name enter “Inmarsat-FBB” (or something descriptive). 8. Then click “Connect”, Windows will try to connect– you can click “Skip” to continue. That’s it. To connect manually, click on the Networks icon in the system-tray (lower-right corner of the screen), select “Inmarsat-FBB” (or whatever name was entered) and select “Connect”. Repeat to disconnect. You can also get to the connections properties from this window. Once all that is done, open Airmail’s “telnet” window (click the “Internet” button on the toolbar or open the Modules menu then Telnet-client). Check the “dial first” box in the Telnet window, and select “Fleet” (or whatever name was used), and check the “Dedicated Route” option. At the top “Server1” should be selected (WRD719 for previous Airmail versions). Remember that you must be logged in as an administrator user to make system or settings changes. If the terminal connects automatically (and no “Start standard” appears on the “Dashboard), then go to the Settings menu, then LAN on left, find the “Profiles” heading and set “Automatic Activation” to “disabled”. If you want to initiate a Data connection manually, open the Dial-Up Networking window and open the “Fleet” dial-up connection and click “dial”. And don’t forget to disconnect when you are finished! This entry was posted in Inmarsat and tagged inmarsat on February 27, 2016 by Stan Honey. Most of us are well aware of the need to protect our computers from the hazards lurking on the internet, but it is less clear exactly what is needed. The danger is viruses or “worms” or “trojans”, different types of malicious programs that can infect your computer. (We’ll call them all “viruses” for simplicity). As long as the computer stays on the boat and only connects through Sailmail then it is safe. Viruses cannot get through the server- incoming mail is scanned but more importantly Sailmail does not forward file-attachments (except for certain files which are inherently safe) so there is no way to send a virus via Sailmail. (The same is not true for Winlink, malicious programs can be sent as file-attachments and a brand-new virus will always get past a scanner). Think of your computer as a fortress surrounded by hordes of bad guys (e.g. the battle for Helms Deep in “Lord of the Rings: The Two Towers”). At sea, you have the world’s largest moat with a slender well-fortified bridge (Sailmail). If you connect your computer directly to the internet then you need both strong bastion walls and solders on the inside (firewalls and anti-virus software, respectively). The connections we are concerned about include wireless connections in a marina, a dial-up connection via a cell-phone, or taking the computer ashore and connecting it to a phone line or network connection. These all expose your computer to potential threats. The threats can come from a virus attached to email, or as part of a malicious website, or by a direct connection to your computer (think of ladders over the walls). So the basic rules are to keep your operating system updated, protect your internet connection, never open a questionable email or a suspicious website, and keep your anti-virus updated. Operating system updates are important in order to make sure that your computer is secure against known vulnerabilities which have been fixed. In order to protect your computer from a direct connection you need a “firewall” to block unauthorized connections. Windows includes an effective built-in firewall which should be left turned on, check Windows Security-center on the Windows control-panel. There are normally no programs which require that it be turned off. There are other firewall software programs available, including various “internet security” packages. Many of these go overboard in terms of protection, adding no security but seriously interfering with normal use of the computer. Also, do not attempt to use more than one software firewall, this can tie things into knots. Our advice is to use Windows firewall (and disable any others). Most local wired or wireless networks include an internet “router” which also acts as a firewall by blocking direct connections from the internet. But an internet router will not block a connection from a fellow user of the local network, who might themselves be infected. So continue to use your computer firewall. It is also important to disable file-sharing unless you need this for a local connection. Windows-7 manages this as “private” versus “public” networks. File-sharing is disabled for public networks, be sure this is selected for any sort of internet-connected network, unless you are protected by your own hardware router. For Windows-XP file-sharing is controlled as part of the TCP/IP properties for the each network connection- uncheck the “File and Printer Sharing” box to disable all file-sharing. The final level of protection is a good anti-virus program which is kept up-to-date. Most new computers come with a “trial” version of some “all-in-one” internet security program, free for a while and then needs a paid subscription. There are two problems here: The “all-in-one” solutions aren’t as good– and a lot more intrusive– than Windows firewall plus a good stand-alone anti-virus program; and there are free versions of good programs (supported by their corporate customers) that there is no real advantage to a paid program. Microsoft Security Essentials is a well-rated anti-virus program that works well without getting in the way, we use that here. AVG/free anti-virus is also good, and Kaspersky and FProt are also good but apparently no longer have free versions. Symantec and Norton anti-virus programs work well, but they tend to be packaged with firewall software as “Internet Security” packages which are overly complex and intrusive, and we have to recommend against them. Google or any browser search engine can find these, be sure to include “free” in the search as all of these folks like to push the paid version (except Microsoft, they already got your money). Some folks take the view “anything but Microsoft”, ten years ago that was reasonable but things change. Particularly after they got past Vista they seem to “get it” to a much higher degree. And remember that any anti-virus software is only as good as its most recent update. There’s another tool work considering, and that is an anti-malware program to periodically scan for spyware and other nasties that aren’t malicious enough to qualify as a virus or worm, but stuff you definitely don’t want it on your computer. MalwareBytes anti-malware free version is highly regarded, as are teh free versions of “Spybot Search & Destroy” and “Ad-Aware”. For all of these (except Microsoft) read the websites carefully, some push paid versions, or “free” upgrades to the full version (only free for a limited time), or try to trick you into installing some other “clean your PC” crap. Read the info carefully. But remember that anti-virus software only works if it can find the virus in its database. So there is always an opportunity for a new virus to sneak through before the company can update the definitions and you can download them. For this reason it is still necessary to use common sense and not open a file attachment from an unknown sender, and avoid visiting suspicious websites. There are relatively few malicious websites but if you get a note from an unknown person asking you to check out an interesting website then don’t. And lastly, beware of the “phishing” expeditions. If your bank writes to you and asks that you go to a website to re-verify something, don’t. Contact the bank first- it may be a pirate website trying to hijack your login and password information. This entry was posted in Accessing SailMail via Internet, Problem and Installation FAQ, Satellite Phones and tagged Using Sailmail via Internet on February 27, 2016 by Stan Honey. The Iridium AxcessPoint is a hardware device available from Iridium that connects to an Iridium handset and creates a wifi hotspot. The Iridium AxcessPoint WiFi device comes from the factory programmed with a firewall to limit internet access, but port 50 (used for Sailmail access) is not open. The following setup will allow the AxcessPoint to be used with Sailmail, but for most applications it is simpler to connect directly to the Iridum phone and use the Iridium PPP setup (http://saildocs.com/iridiumPPP or send a blank email to: iridiumPPP@saildocs.com). 1. Connect to the AxcessPoint via WiFi using Windows wireless networking. the box and in the battery compartment. Note that the Admin password can be changed Under Tools->Admin. However, there is no way to reset the unit so if the password is lost then unit must be returned to Iridium for service. Once there you need to add a rule which opens port 50. Then save settings, the device will reboot. Other ports can be closed if no other use is planned. This will avoid competition for the Iridium Connection and may speed things up. You might also disable DNS on port 53 if Airmail’s remote-server address is set to 72.32.198.206 rather than “pop3.sailmail.com”. Don’t forget to save the settings and wait for the unit to reboot. 5. Log back into the unit then go to modem settings. 6. Change the mode to manual. This is especially important if the firewall is left open. Otherwise the unit will make a data call as soon as the user wifi connects to it. Note that DNS is what brings up the connection so if you have blocked all the ports then “on demand” does not work. If you leave DNS open then any DNS activity on the users computer will cause the unit to start a PPP connection. So… it is best if you set this to manual. Once in manual mode you will need to log in to the web page to bring up the connection and take it down. 1. Connect to the AxcessPoint via WiFi. 2. Open a browser and login to http://192.168.0.1 (see above for password). 3. Go to status and hit the connect button wait for the unit to go online. 4. Back on the PC run AirMail and do your terminal session. 5. when done, go back to the browser and disconnect. That should do it, please let us know of any problems or questions. This entry was posted in Iridium Handsets and tagged iridium, satphone on February 25, 2016 by Stan Honey. We are getting reports of Iridium USB driver incompatibility with Windows 10 systems. We have confirmed that a PC upgraded to Windows 10 will not work with an USB connected Iridium handset. Open the port to connect to the phone results in an instant BSOD crash. We have not confirmed if this also happens with PCs originally shipped with Windows 10. If you have more information, please let us know. Iridium is aware of the problem and is working on a solution. They have not, however, given a date when a fix or updated driver will be available. This entry was posted in Iridium Handsets and tagged iridium, satphone on January 9, 2016 by Shea Weston.